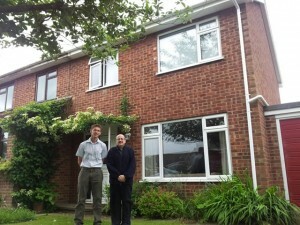 Blog	You are here » Home » Blog » Satisfied Customers » Customer Service – Is It Genuine? Customer service, for many businesses unfortunately, is little more than lip-service. Some of the larger organisations have ‘Customer Service Departments’ to handle complaints or customer queries. But I often wonder if the principle of true customer service is followed by people in the rest of the organisation. Call me old-fashioned, but to me good customer service should be delivered by every person involved in the business. After all, without customers we wouldn’t have a business, would we? And yet in some businesses profit seems to come before customer service… in fact customers are sometimes seen as a nuisance that has to be tolerated! And then there are the businesses that don’t even deliver what they promised, never mind caring about the customer too! I’m sorry to say that is sometimes the case in the building industry. It’s why there are so many TV programmes exposing those ‘cowboy builders’. It is a worrying concern for anyone looking for building work to be carried out. So how can you be sure you will get the service you expect and have paid for? The most obvious answer is to ask people who have used those companies before. But I think most people would like to know more about how the service or product they’ve purchased will be delivered, do you agree? For example, if you are looking for roofline replacement services I’m guessing you’d like to know what the process is from start to finish, wouldn’t you? How quickly do they respond to your initial enquiry? It is reasonable to expect a reply within 24 hours using the contact method you prefer, phone or email. Do they arrive at the arranged time for an inspection and quote? Your time is valuable, why should you have to wait around for someone to turn up at their convenience? I respect you and always keep to my appointment times. What is their first action? Do they try to ‘sell’ first or do they inspect and measure up first? 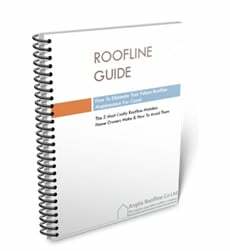 Some companies won’t take the time to inspect and measure your roofline until they are confident you are going to buy their product and service. In my opinion, that is self-serving not customer service! I always measure up first, how else can I give you accurate information? Do they insist on both decision makers being present? This is something that many people have told me really winds them up! It implies that the person who can spare the time for the appointment (wife or husband) is not capable or does not have the authority to make a decision! This really is a throw-back from the early 1900s when business was done with the main earner in the family. Things are a bit different now, aren’t they? I’m happy to deal with whoever is present. Do you get a fixed quote or an estimate? A fixed quote means you know exactly what it will cost you. Any unexpected additional costs will be borne by the company providing the service, not passed on to you. My 12 years (and 3000+ installations) experience means this rarely happens to us but, if it does, then that is my problem, not yours. Do they outstay their welcome, trying to persuade you to buy immediately? This, I think, is one of the worst traits of some companies who offer in-home sales. I prefer to give people time to consider the information I supplied – that’s why I rarely stay longer than 30 minutes. Of course, if the customer decides to go ahead immediately that’s great. But it has to be their decision and not made under duress. If you decide to ‘think about it’ do they send confirmation of the quote in a timely fashion? Expecting an email within 48 hours confirming the price quoted is perfectly reasonable, well I think it is so that’s what I do. Do the installers turn up on time? There is nothing more frustrating that waiting in for workmen to turn up and get started. It is common courtesy to arrive on the agreed day at the expected time. Timekeeping is my installers’ watchword. Does the company allow sufficient time for the installation to be done properly? 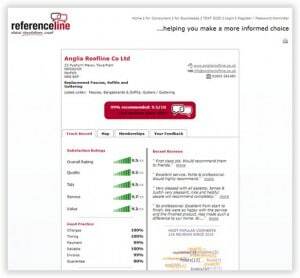 For some companies roofline replacement installation is a numbers game – they want to get as many done as possible, it is more profitable for them. The problem with this approach is it puts the installers under pressure to get the job done within a tight timeframe. Anything unexpected crops up reduces the time they have. For me, customer satisfaction is more important. That’s why my installers know they can take extra time to resolve any issues without having to compromise on the quality of their work. Don’t worry – they are not slow, just methodical. Do they show respect for you and your property? Showing respect means they are polite when talking to you and tidy up and leave your premises in a clean state after the work has been completed. You don’t want to have to get your yard brush out to sweep up after them, do you? Are you invited to inspect the finished job? 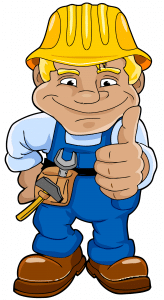 My installers walk you around your property so you can inspect the work for yourself. They explain that because gutters are attached to the roofline there maybe some movement during storms. They tell you who to contact if any leaks between gutter sections are spotted. It doesn’t happen often but, if it does, my installers will get in sorted promptly. It is part of our after-sales customer service. And are the guarantees worth the paper they are printed on? Pretty much every company will tell you they guarantee their services and products. But what happens if they go out of business? What are their guarantees worth then? 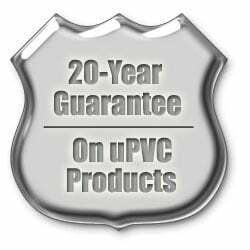 Our products are guaranteed by the manufacturer and our work is guaranteed, under insurance, by the Consumer Protection Association. That means if the worst should ever happen, you still have peace of mind. Are you able to give honest feedback about the company via a independent third party? Websites like referenceline.com show both good and bad feedback. They do not allow a company to pick and choose what is published. That’s why we ask our customers to share their experience of our customer service with referenceline – their opinions count far more than ours. And we like you to get an honest view of what you can expect from us. • No high-pressure selling. I’m the MD of the company and I carry out the inspections myself and I’m no salesman! I think that’s why we have such a good reputation with our customers. . . you can read their unbiased comments at Referenceline where we have a 9.5 out of 10 rating. Want To Replace Your Roofline? Oh, another point worth thinking about, if you are thinking of replacing your roofline and can be flexible about when the work is carried out, you could take advantage of our ‘standby-offer’ and save up to £825 compared to the normal quote for your roofline replacement. Get your FREE, NO OBLIGATION quote now.